Our award-winning team has been designing modern homes in Kelowna and throughout Western Canada since 1985. 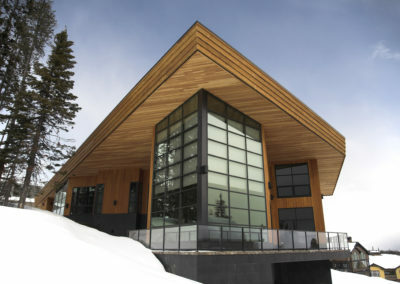 We understand the unique challenges of designing an Okanagan modern home; rocky landscapes, breathtaking views, intense sun, and cloudy winters. Modern home design places an equal emphasis on form and function, striking a balance that is both beautiful and practical. With our decades of experience, Apchin Design Corp. will work with you to create a home design that meets the needs of your modern life. The Okanagan Valley’s climate and landscape is reminiscent of places like Palm Springs and Florida where mid-century modern home design burst onto the scene. 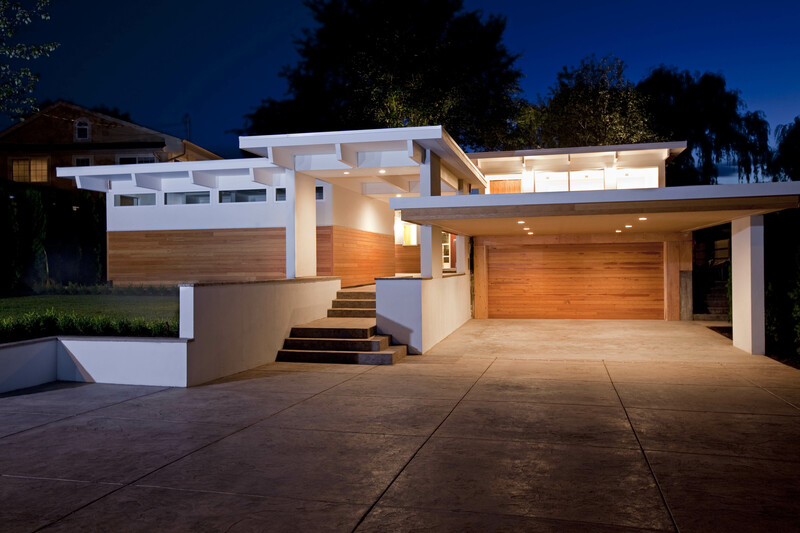 Mid-century modern architecture is characterized by clean lines, open floorplans and ample windows. It emphasizes bringing the outdoors in, and when you live in a place like Kelowna, why wouldn’t you want to embrace the landscape in your home design? Our team is deeply familiar with mid-century modern design and works with clients across Western Canada to design and build custom homes that represent an updated take on this popular field of modern home design. 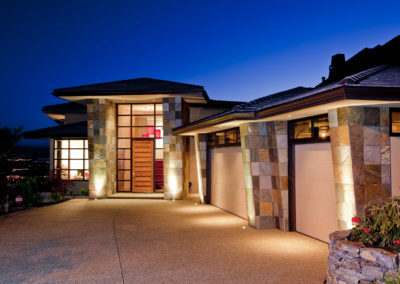 Contemporary home design is a style that is constantly evolving and refers to what is popular and current today. What was classified as a contemporary design a decade ago may seem a bit dated today, and what is contemporary today may seem modern to some. 1.living or occurring at the same time. 2. belonging to or occurring in the present. In many ways, contemporary home design is the most popular as there are really no rules. A home that is a blend of a Tuscan Villa with urban brick work, mid-century post and beam, and historic moulding would be considered Contemporary by today’s standards. At Apchin Design Corp., we incorporate the primary principles of modern design into whatever style of home our client desires, creating a functional and beautiful fusion that can only be classified as contemporary home design. A beautiful, functional, well-designed home starts with your house plans. The team at Apchin Design Corp. will work with you to discuss your family’s needs, lifestyle, and long-term goals to create house plans that are unique to you and truly reflect a custom home. As part of our service, we also work with clients to draft a home plan that is well-suited to your lot, or what industry professionals refer to as “site-specific home design”. This allows us to maximize the land, amplifying the best features of your property and minimizing any areas of concern. If you have a 180-degree view, we will create a home plan that allows you to take it all in from any room in the house. Have a westward facing lot with a lot of solar gain and heat in the summer? We can work with you to create a custom home design that reduces your air conditioning costs without sacrificing what you love about your property. A pre-designed home plan may result in the need for an expensive retaining wall or costly excavation. Even with ideal lots, your home plan may call for a floorplan and layout that results in the windows of your home looking straight into the neighbour’s windows. Or in a less-than-ideal view. While having a custom home plan may seem like a costly way to go, you may save money in the long run. A truly custom home in Kelowna may also be a better investment as there will genuinely be nothing like it on the market if you decide to sell your home.